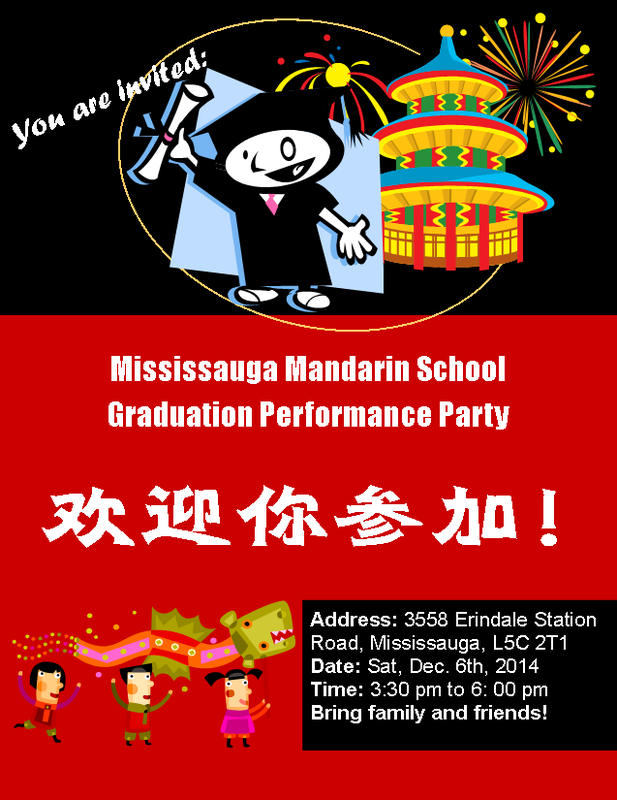 You are invited to our December Graduation Performance Party. Please fill the RSVP from below. You are welcome to bring family and friends. Please enter the additional guests. The party is free of admission, but please feel free to bring some snack, food, and soft drinks to share! We will also make some tea, and have some Chinese snacks out. Do you know what the Chinese characters on the poster says? Use your dictionary searching skills to find out!